Who opens a restaurant knows very well that it is not opening any small business, but is starting a small or large company. As such, the restaurant must be managed with care, planning, monitoring and organizing every aspect of the activity. Even the restaurant will have to have an internal staff organization, just like a company, and adopt a real hierarchical structure. Only in this way, in fact, the roles can be defined clearly and accurately and each member of the staff will know what to do and to whom to respond. To forget to equip your restaurant with an internal organization of this type can therefore represent a fatal mistake. In this case, in fact, the risk is to condemn the activity to the most complete confusion and improvisation. For this reason, if you decided to make your restaurant a successful business, you will have to start from the organization chart, precisely defining roles and hierarchies. 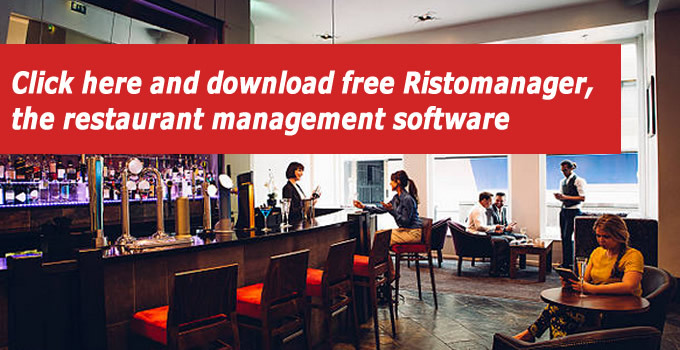 Restaurant management: discover the most complete and effective software for managing! To be clearer the staff of a restaurant must be divided into working groups, which are called brigades. With brigade we mean that part of the staff working in a specific sector. Naturally the brigades can be different, more or less numerous, depending on the type of restaurant and how it is organized, from the type of menu, from the restaurant sector in which you work, etc. Each brigade therefore has no common characteristics and it is therefore very difficult to identify the standard elements. In any case, in general it is possible to list some brigades or work groups that we find in any restaurant business. How digital is your restaurant: find out now! Communication and Marketing (can be only one person or several people working together with the Sell & public relation manager, defining the restaurant’s marketing and communication plan. The management team, which varies according to the size of the restaurant, is flanked by two other brigades: that of the kitchen and that present in the hall. In the kitchen, in particular, the complexity of the staff is very variable: it is possible to go from a few chefs and a chef to a whole series of figures ranging from the Executive Chef to the kitchen boy. It is clear that if in a family restaurant it is possible that the chef is also the cooker in a restaurant of higher levels the staff will increase and with it also the various hierarchical degrees. For example, some restaurants could have Chef Patissier, a figure completely dedicated to small and large pastry shops. This figure is the classic example of the chef of the game, or a chef who takes care exclusively of the preparation of some specific foods. The brigade in the hall instead includes all those figures who spend most of their working hours in the hall and relate directly with the customers. The room staff takes care of taking orders, advising and providing indications to the customers on the menu and serving the various courses. In short, a very delicate role that defines what we call a restaurant service. Even the room brigade may vary depending on the type of restaurant. So we will have a couple of waiters in the case of a small restaurant. A large restaurant, on the other hand, must necessarily have a head nurse, a figure able to direct and monitor the work of the waiters. Not only that, the figure of the Sommelier is also among those present in the brigade of a restaurant in a certain level. Head chef: what does he do?